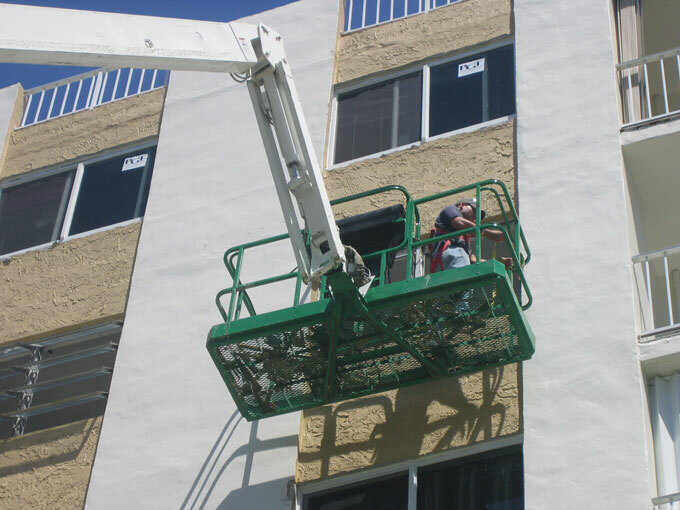 Few window and door replacement jobs have been more challenging than Marbella Towers in Miami's Sunny Isles Beach neighborhood. 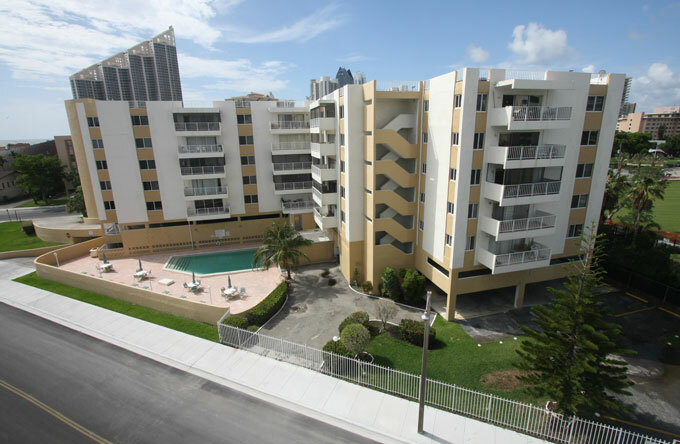 Astor Doors and Windows interviewed condominium board president, Mary De Tripani, to learn more about how the glazing in this 32-year-old, 60-unit, nine-story building was successfully upgraded with hurricane resistant impact glass. 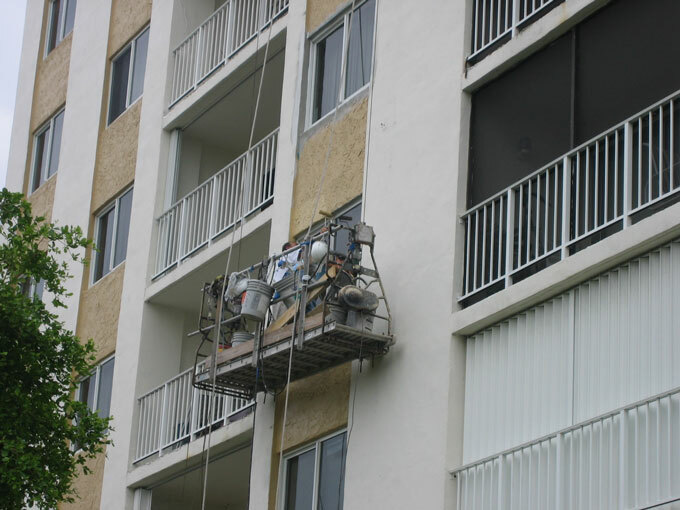 QWhy did your Condominium Association embark on this window replacement project? AThe windows in our multi story building were 32 years old…in really poor shape. Some of them leaked so badly that they had to be calked shut to stop the water from infiltrating the unit. Something had to be done. At first, we looked into replacing the original windows with normal windows – not hurricane impact windows. However, we learned that shutters would be required in addition to new windows by the current building code. While getting estimates, we had to be certain that the bid specifications we received were apples to apples. It turned out that we could have impact windows for less money than replacing the old ones with normal windows, plus the required shutters. Impact windows were actually cheaper. QWhat concerns did you have going into the project? A We worried about getting into each individual apartment. How can we do it without a lot of owner inconvenience? We had a few owner meetings before we started…and it was apparent that access for installation could be difficult. People said that they would be at work or out of town. There would need to be a lot of cooperation and communication during installation. Smooth operation during installation turned out to be more important to than project cost. QRegarding cost, were there other concerns? A Price was certainly very important, however, there was only about a two thousand dollar difference between the five bids that we obtained …so contractor reputation became more important than price. Of course, cost was a big thing for the unit owners. In the end, the contractor and the price went together. Some of the bidders said that they would match any price that we got. That raised suspicion that lead us to focus more on contractor reputation. But, again, there wasn’t much dollar difference in bids for our window replacement project.so we were naturally more inclined to focus more on contractor reputation. Astor Windows & Doors, the contractor we selected was very professional. Our primary contact, Carlos, the company owner was earnest and down to business. I got the impression that his company really wanted our business. Everyone at the company exceeded our expectations throughout the project. Our experience with other maintenance projects has been different. While there was little price difference in window contractor bids, this has not been the case for elevator and roof work at our building. These projects were much more expensive and the high and low bids were quite far apart. There has also been a wide range of professionalism in these trades. QHow did you check out contractor reputation and locate window companies for the purpose of getting bids? A We checked with the Better Business Bureau…after looking in the phone book and going on the Internet. We learned a lot on the web because some sites addressed our concerns about the companies we might be hiring. Presentations and phone conversations gave us further insight into contractor reputation…early contacts gave us the impression that the contractor we ultimately selected did indeed have the experience we needed. We became more confident that things would go smoothly. This was the case with Astor Windows & Doors. They were very courteous on the phone and in person…organized…always responsive to our questions. They offered many suggestions and management tools to help coordinate the installation. And, their reputation was well documented by customer satisfaction surveys. Our confidence increased with every contact. QWhen the job was complete would you have done things differently? A No. Nothing different about Astor Doors & Windows…just more preparation on our side…getting into apartments...many of the condos are rented. This was the hardest part. There were always excuses but this was not the contractor’s responsibility. They were very professional when we had access problems. QWhat has been your experience with Astor Windows & Doors since the project was completed? A It has been over a year now since the job was finished. We have had very few problems. Their follow up has been very good – within a day or two. Most of the issues have been related to screens coming off…or people not knowing how to handle them…sometimes not knowing how to open the windows for cleaning. In one instance, an owner complained about a window rattle. It turned out that it was just the screen not properly clipped…nothing to do with the window installation. I always got a case number when a problem was reported. This kept me well informed. In another instance, a glass pane was cracked, but it was quickly replaced under warranty. A leak was also reported. They investigated and it turned out that the water really came from a problem with the roof, not a window. The 12-month warranty for both materials and labor has been a win, win for our association. 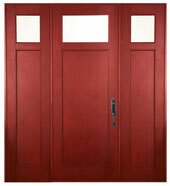 To date, we have been 100% satisfied with Astor Doors & windows and the PGT brand. QWhat advice would you give to managers like yourself about window replacements? A As the President of the Board, I would say that you need at least 90% cooperation from unit owners. Access turned out to be the most important concern in our case. We had some confrontations with owners about price, but that would be expected. Some did not want to spend the money because they were older and wanted to pass on some inheritance. Some other units are investment properties or vacation homes, and people naturally don’t want unexpected building maintenance expense. In my opinion, they shouldn’t have bought into a 32-year-old building without anticipating that the windows would need to be replaced. It was pretty obvious they had to be replaced, sooner than later. The people at Astor Construction were good communicators. They helped a great deal in overcoming uninformed objections…helped me to prepare the board’s case for the project. QAs a unit owner, as well as board President, what do you think about your new PGT impact windows? A The impact windows are great…everything I expected. They are easy to open for ventilation, and there is almost no traffic or wind noise when they are closed. Our building insurance has decreased and will return all of the cost in a short time. Our electric bill has also noticeably decreased because the AC comes on less often. I don’t worry about hurricane wind damage anymore…plus, I think that my unit is worth more money with the upgrade than other condos in the neighborhood. Should we decide to move, it would be easier to sell for a good price. All the little pennies add up -- from less energy use, lower insurance cost, no water leak or stains, and less maintenance. I’ll say it again. The impact windows are great! The little pain that we experienced was worth the inconvenience! Almost everyone in our building agrees. 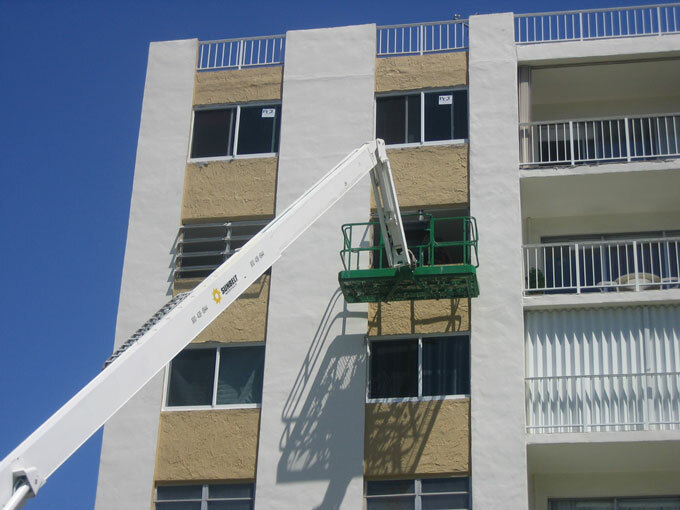 Learn about our retrofit installation job at Lakeview Estates, a 84-Unit Condo Success Story in Miami, Florida.